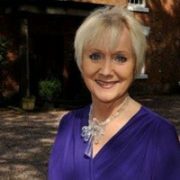 Diana Mather is a regular contributor on TV and Radio programmes such as BBC Breakfast, The Hotel Expert, and BBC Radio 5 Live, giving advice on civility, image and style. As Director of Training at The English Manner, she works with a wide-range of clients including MPs, senators, lawyers, university students and school children as well as large corporate organisations. Do manners matter in the modern world? Find out by booking a ticket today!